How much is it? $750. Is there a day camp option? Yes. For more information click here. Who can go to the camp? Boys born after 8/1/99 and before 7/31/05. (U10-U15 in the 2014-2015 season). Is the camp only for Everton America and Everton FC Westchester players? No. The camp is open to all boys who want to become better soccer players in a competitive, challenging and fun environment. The curriculum is designed for players currently at premier and academy soccer clubs. Is the camp for boys only? Yes. How much soccer coaching will there be? Approximately 20 hours of soccer coaching, including skills development and full-sided games. What other activities are there? Futsal, swimming and other activities organized by coaches and coaching assistants. What if my child can't swim? Swimming is optional for all campers. What does my child need to bring? A full equipment list will be sent out at least a month before the start of the camp. Can my child bring their cellphone, iPad or other electronic devices? Yes, though neither the club nor the school can be held responsible if the device is lost, stolen, or damaged during the camp. Should my child bring spending money? Yes. There will be a camp `bank' for parents to fund their child's spending (e.g. on vending machine items). Who is the camp director? Jim McElderry. Mr McElderry is the Managing Director of Everton America and the Head Men's Soccer Coach of Fordham University, a Div. I soccer school. Is there a trainer on site? Yes. Who will be coaching at the camp? Staff from Everton America and Everton FC Westchester. Are all the coaches first aid trained and background checked? Yes. Who do I contact in an emergency? Please find emergency contact details here. Can my child room with his friend? Rooming requests will be taken one before the start of camp. The club will try to honor all requests. Will my child be in a dorm with players his own age? Yes. My child has a peanut allergy. Can they come to the camp? Yes. If you have particular concerns about allergies, please email . What if my child gets sick at the camp? There is a trainer at the camp for minor ailments and injuries. Parents will be contacted if there is something more serious. Does my child need to have all their vaccinations up to date? Yes. 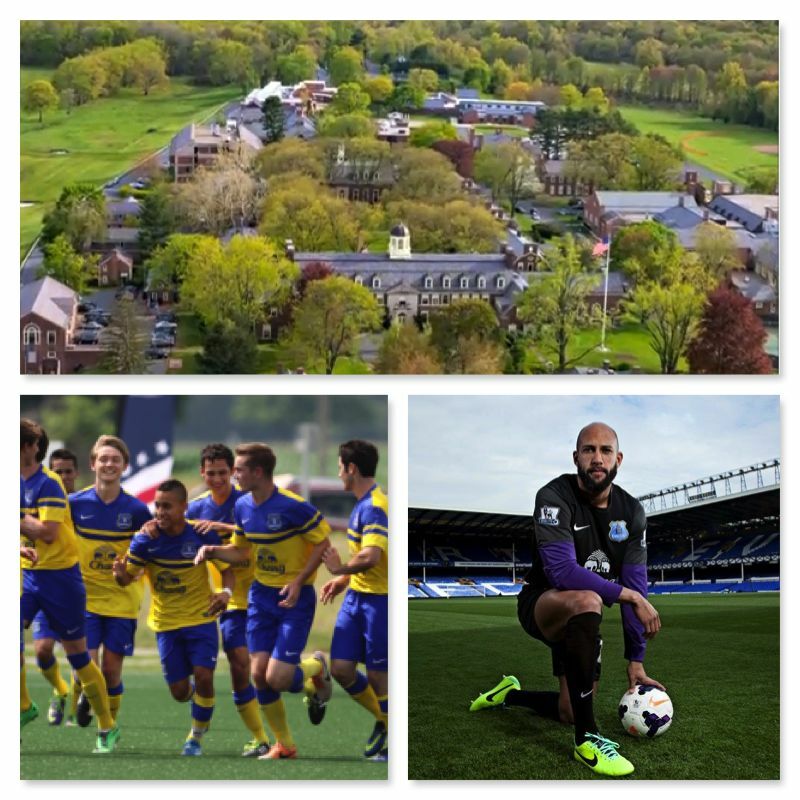 The health and wellbeing of campers is the number one priority of Everton America. A record of your child's vaccinations should be submitted as part of their health record. How much does the camp cost? $750. Is there a sibling discount? No. Can my child attend the camp for just three days? Yes, at the full price. Can my child leave the camp before Thursday? Yes. Any child departing the camp early must be signed out and the room key must be returned. Can my child leave camp for the day to visit relatives in the area? Yes, but the camp director must be informed in advance and the child must be signed out and signed back in. How do I get to Loomis Chaffee? Please see Visitor Information on the Loomis Chaffee website. How far is Loomis Chaffee from New York and Boston? Just over 2 hours drive from New York, and just under 2 hours from Boston. What is on the campus? Multiple grass fields, a swimming pool, a turf field with lights, dormitory accommodation, dining hall and classrooms. 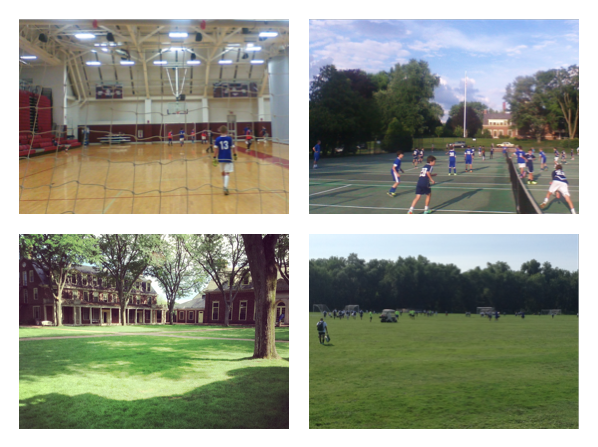 Loomis Chaffee is a boarding school on a 300-acre campus. Can parents or other family members visit the camp? Yes, if the camp director and relevant staff are informed. How do I contact the camp director or the trainer during the camp? Contact names and phone numbers of all relevant personnel will be distributed to families before the camp starts. Camp payments are only refundable before April 13, 2015 (90 days before the start of the camp) and if there is a wait-listed player who can take the first player’s place. Refunds will not be issued otherwise. If your child is injured and cannot go to the camp, a credit for future Everton America summer programs at their home training fields will be issued. A doctor's note should be provided. Any other questions? Please email .